Enlarge / Black Mirror is one of the Netflix shows reportedly getting the branching narrative treatment soon. Over the past decade or so, Netflix has become a market leader in delivering linear TV and movie narratives via Internet streaming. Now, Bloomberg reports the company is on the verge of greatly expanding its effort to let viewers directly guide those narratives via choose-your-own-adventure style interactive prompts. Netflix has already experimented with interactive choices in a few animated shows aimed at children, but Bloomberg reports it is now ready to expand the idea into adult-focused, live-action programming. 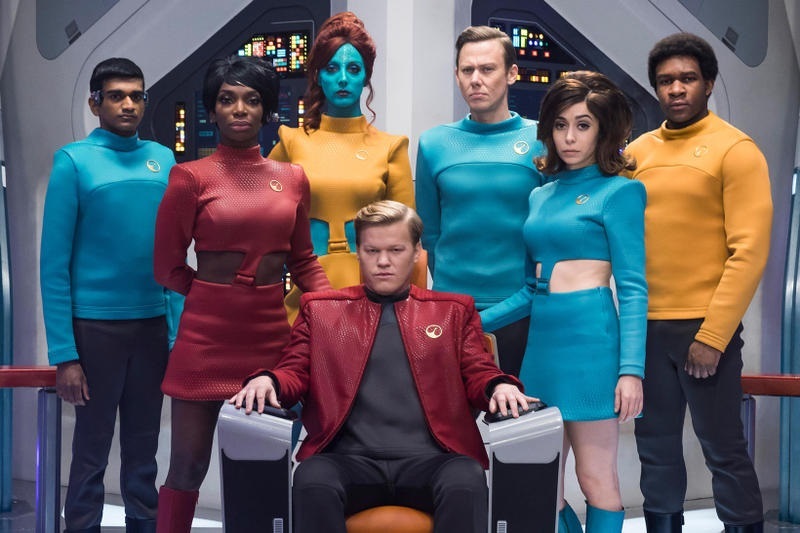 The first of a series of such interactive specials will launch before the end of the year, Bloomberg reports, and the effort will include at least one episode of the popular sci-fi anthology series Black Mirror. Two of the interactive projects currently in negotiations are based on existing video game properties, the report suggests. That seems to include the previously announced Minecraft: Story Mode, which was largely completed with the help of Telltale before that company’s massive layoffs last month. Netflix has frequently said it is not interested in getting directly into the video game business, however. It’s currently unclear just how much narrative branching will be possible in these Netflix specials, or how divergent the storylines can become based on viewer interaction. Filming extra content for such branching storylines can add significantly to the production cost of traditional linear TV narratives to create content that some viewers may never end up seeing. Live TV programs and game shows have long integrated interactive elements via telephone calls, webpages, and custom apps. But fully interactive narrative stories have been more closely associated with video games, from text-based stories like Zork to Hollywood-style blockbusters like Detroit: Become Human and everything in between. This narrative flexibility has also been included in video game experiments focused on filmed live-action stories, ranging from the campy Night Trap to this year’s innovative WarGames reboot. Other TV networks have been looking to expand into the interactive space of late as well. HBO recently teamed up with director Steven Soderbergh to produce Mosaic, a filmed interactive narrative series released exclusive as an app last year.